Many people know that a California DUI is a “priorable” offense. This means that if a person is arrested and convicted of a subsequent California DUI within ten years, the penalties by operation of law increase. 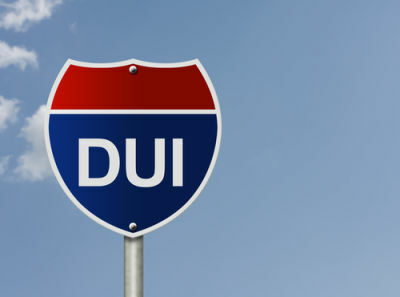 Generally, a first-time California DUI conviction carries three to five years of summary (informal) probation, up to six months in jail, between $390 and $1,000 in fines, completion of a court-approved three month DUI program, and a six-month license suspension. A second-time California DUI conviction carries three to five years of summary probation, a minimum of 96 hours to a maximum of one year in county jail, between $390 and $1,000 in fines, completion of a court-approved 18 month DUI program, and a two-year license suspension. A third-time California DUI conviction carries three to five years of summary probation, a minimum of 120 days to a maximum of one year in county jail, between $390 and $1,000 in fines, completion of a court approved 30-month DUI program, and a three-year license revocation. With this understanding, the question arises: Can a prior out-of-state DUI conviction be used to make a current California DUI a “second offense” and allow the court to increase the penalties? It depends on whether the facts in the prior out-of-state DUI case would have constituted a DUI in California, under California law. The wording of Florida’s statute may prohibit a past Florida conviction from being used to make a California DUI a “second offense” for two reasons. The first problem is that Florida’s statute requires that a person impaired “to the extent that the person’s normal faculties are impaired.” This standard is less strict than California. California requires that a person be impaired to an appreciable degree. Thus, a person may be deemed impaired under Florida’s standard, but not necessarily under California’s. The second problem is that Florida’s statute also requires that someone drive or is “in actual physical control of a vehicle.” This makes Florida what is called a “dominion and control state.” A person can have dominion and control over a vehicle by simply being in the driver’s seat. California’s DUI law, on the other hand, requires that a person actually drive the vehicle. Therefore, a person can be convicted under Florida’s DUI law by sitting in the driver’s seat while intoxicated. However, someone sitting in the driver’s seat while intoxicated cannot be convicted under California’s DUI law. Therefore, if a person was convicted five years ago in Florida for a DUI under Florida law because they were found drunk in the driver’s seat of their vehicle, but not driving, that conviction cannot be used to make a current California DUI a “second offense” to increase the penalties because California DUI law requires that the person actually drive the vehicle. If, however, that same person was pulled over after driving and are convicted of a Florida DUI, that prior Florida DUI conviction can be used to make the current California DUI a “second” offense. Previous Previous post: Where is FBI Director Comey Now?